We all, atheist and believer alike, must have Faith. I will tell you it gets tested when you are struck with a catastrophe like losing a child. I wished everyone a Happy Easter yesterday on Facebook and Twitter. I’m guilt free using Facebook since I’m guessing Cambridge Analytics wouldn’t care a bit about the holiday. Well, honestly, I never got much out of it either. As I said yesterday, the juxtaposition of Bunnies with Eggs is strange and borders on disturbing. Besides that, my memories are of being stuffed into an overly heavy and uncomfortable sport coat and tie, on an overly warm and sunny day, and sitting in a stuffy room with relatives. The ham was always a bit salty and desert was made by Grandma Jen (yup, basis for the same character in Sun Valley Moon Mountains). Now, Grandma Jen was the all-time best pie baker on the planet. Always used lard crust! But for Easter it was Paradise Delight: pineapple chunks and marshmallows. Not bad, but like Bunnies and Eggs, an odd combo. 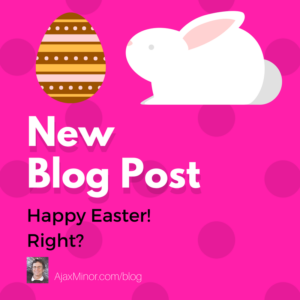 What about Easter as a religious observance? Resurrection certainly would be a cause for rejoicing. But it requires Faith. What about Pagans? There is an abundance of pagans and pagan deities in Sun Valley Moon Mountains. So what do I think about paganism? Hint: Linda and I celebrate the Winter Solstice every year. But (NO SPOILER) Jesus also makes an appearance in Sun Valley Moon Mountains. Faith is important, epistemologically, since we can’t verify every ‘fact’ with direct observation. So we all, atheist and believer alike, must have Faith. I will tell you it gets tested when you are struck with a catastrophe like losing a child. But I’ve written about my and Linda’s experience before: God, Grief and the Tao te Ching. So I won’t belabor that point. But back to the subject of Easter and Faith, I would like to share one anecdote. “What would they be?” we asked. We said, “Willie, that’s pretty much the whole deal!” He humphed. 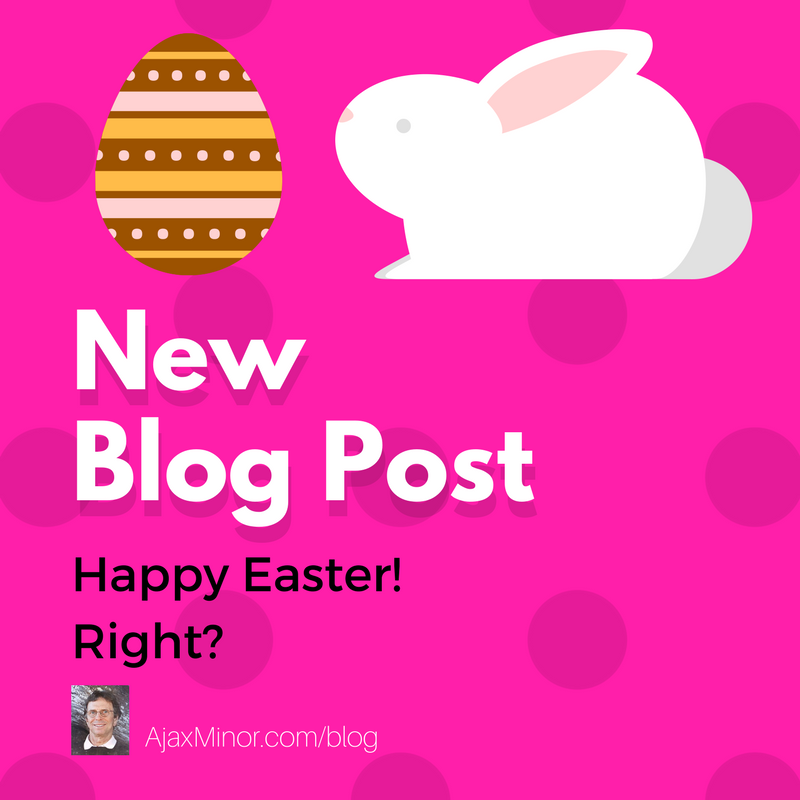 So what do YOU think about Easter?